This Mothers’ Day has a new twist for me. It’s my first without my own mother. For the first time I will not be seeking out just the right card and gift for Mom on Mothers’ Day. I won’t be stopping by her house to give her a hug and stay for a visit. Even though Alzheimer’s stole Mom’s memory over time, it was still important to mark the day and look for some way to brighten her life. She was still my mom. And she will always be my role model. Mom was my best cheerleader. There was nothing she thought I couldn’t do. 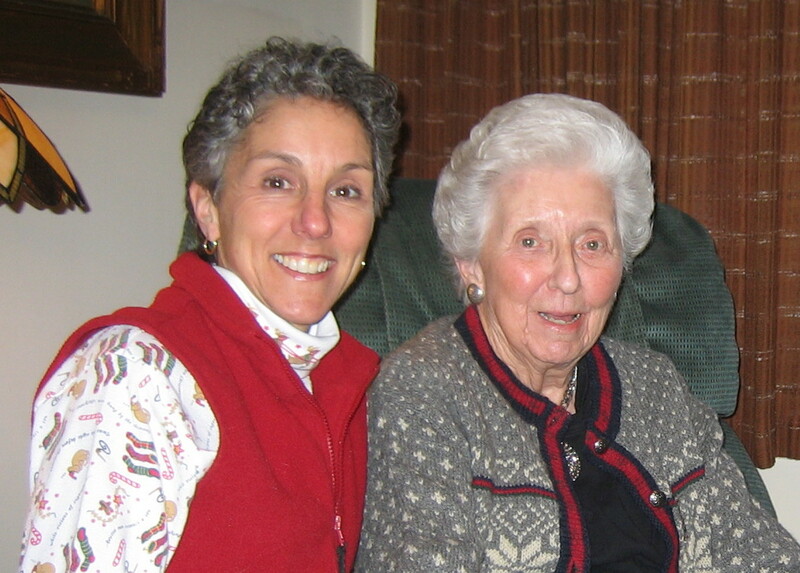 When I took up running, she was the one to let me know that Grandma’s Marathon was starting up a half-marathon. Of course she knew I could do it. No question. And she was there on the course year after year for the full marathons that followed. Two years ago was the first time she missed, and I found it hard to breath as I passed “her” corner. Mom was there at all my concerts, my recitals, the talent shows. No matter what the event, she was there. When I had kids, she came for their plays, their concerts, their graduations. Mom taught me to sew like a pro. We matched plaids so well you couldn’t tell there was a seam. When I asked her to make a dress for my daughter’s American Girl Doll (named Molly, of course! ), she bought the pattern and made every single outfit! When it came time to prune my closets in preparation for moving, I admit to squirreling away a few treasures that she made for me. I may never again wear the lace-inserted blouse she made, but it was too special to let go. I wrote to Mom every week. She loved reading my letters. And when she could no longer read them, her caregivers read them to her. Mom always encouraged me in my writing. It’s because of her that I started up this blog – to pursue writing and see where it can take me. Happy Mothers’ Day, Mom. I miss you. This entry was posted in Family Footprints and tagged Family, Mothers Day by Molly. Bookmark the permalink.